PARIS -- PSA Group's global sales rose 15 percent to 3.63 million last year, driven by new SUVs and crossovers and the acquisition of Opel from General Motors. Strong gains in Europe and emerging markets offset declines in China, the world’s largest auto market and a region that CEO Carlos Tavares has prioritized with new investment and a change of leadership. The group’s largest brand, Peugeot, was also its largest gainer, with sales rising 10.4 percent to 2.12 million after the introduction of the 3008 compact crossover, which had 259,300 global sales and the 5008 midsize crossover with 85,900 units since March, despite production delays. Both models replaced earlier minivan versions. Peugeot brand CEO Jean-Philippe Imparato said the marque increased volumes sold as well as market share in five out of six regions. "Peugeot has successfully moved upmarket and is continuing to expand internationally, with sales outside Europe representing 45 percent of the worldwide total," he said in a statement. Sales at Citroen fell 7.5 percent worldwide, including a 47 percent plunge in China and Southeast Asia. However, Citroen gained 3 percent in Europe, where it benefited from the first full year of sales for the subcompact C3 and new C3 Aircross SUV. Citroen is adding crossovers and SUVs to a lineup that was oriented toward minivans. DS, the group’s upscale brand that was spun off from Citroen in 2014, suffered another year of lackluster sales. Sales declined 39 percent to 52,860, including a decline of 63 percent in China and 34 percent in Europe. PSA’s sales from Aug. 1 included total from Opel and Vauxhall. Light commercial vehicles were another bright spot for the group. Global sales increased 20.2 percent to 476,500 (including Opel and Vauxhall). Top sellers in Europe were the new Citroen Jumpy and Peugeot Expert small vans. PSA's European sales increased 23 percent to 2.38 million, of which 376,400 were Opels and Vauxhalls. Excluding Opel and Vauxhall, PSA’s market share rose 0.3 percentage points to 11.1 percent. It is now the second-largest auto group behind Volkswagen Group. Sales were especially strong in Germany, where Peugeot gained 25 percent and Citroen 8.3 percent, according to data from the German KBA motor transport authority. 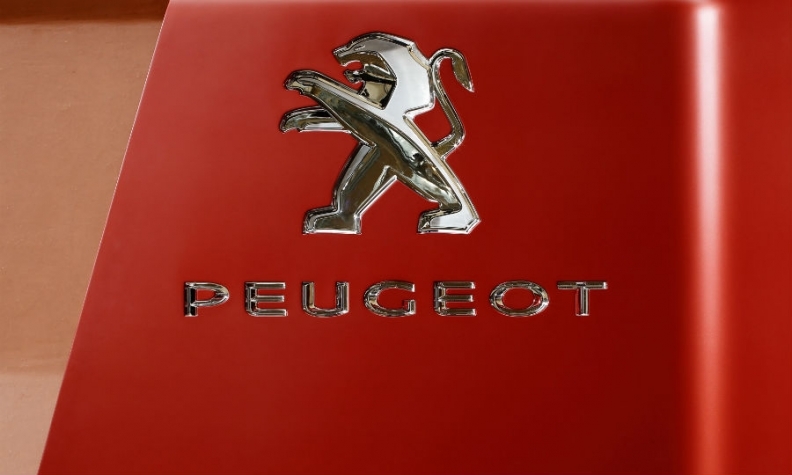 In France, PSA’s home market, Peugeot gained 9.2 percent to Sales were down in the UK market, where buyers are still grappling with the uncertain effects of Brexit. For the year, Citroen lost 18 percent and Peugeot 17 percent, according to UK industry group SMMT. Vauxhall sales fell 22 percent. Middle East and African sales rose 61 percent to 618,800. Iran where the group counted 444,600 sales was a particular bright spot. PSA returned to Iran in 2016 after an international deal to lift sanctions in return for curbs on Tehran's nuclear activities. PSA has announced a joint venture with Citroen and Saipa in Iran. In Latin America, volume was up 12 percent to 206,300. China and Southeast Asia sales fell by 37 percent to 397,300 but PSA said it has seen a rise in demand since July, and a market share gain of 0.3 points in second-half of 2017 compared with the first half, helped by the launches of the Peugeot 4008 and 5008, and Citroen C5 Aircross. PSA announced an investment of 500 million euros with joint-venture partner Changan to bolster the DS brand, and has just appointed Carlos Gomes, former head of Latin America, to turn around the company’s Chinese operations. Overall, 65 percent of PSA's sales came from Europe, a total that increased with the Opel/Vauxhall purchase.